Packaging is an important part of branding a company. A product's package is often a customer's first exposure to a company, and should leave a good impression. When surveyed, 63% of marketers expect an increase in spending on brand marketing over the next year. Custom packaging is an easy way to make a product recognizable and distinct. Graphic designers working together with a company's marketing department can ensure that the products are packaged in an appealing manner. Package design inspiration can come from a variety of sights, textures, and sounds. In recent years, studies have shown that consumers are attracted by simplistic packaging. With a growing cultural emphasis on environmental responsibility, simple product packaging design uses fewer materials that may harm the environment. Multi-use packaging is becoming popular with consumers, even if it is made of less-environmentally-friendly materials, as consumers can reuse the packaging many times instead of just throwing it out. Product packaging designers are also moving toward a more natural, home-made look to product label design. With handwritten or sketchy fonts and a more conversational tone, designers are gaining consumers' trust by replicating a human connection. Package design inspiration for luxury items comes from liberal use of open space. Luxury items are packaged with simple, monochromatic themes. Soft color is used sparingly, and logos are small. Luxury packaging has moved away from ostentatious and flashy toward understated and classy motifs. Minimalist design is definitely in style, allowing customers' attention to be focused on the product itself, rather than the package. Packaging design will continue to evolve over time, whether the focus remains on minimalism and simplicity or designers move back toward bold, bright, packaging. Companies that wish to build their brands should continue to pay attention to packaging trends, so that they don't inadvertently present themselves as out-dated. 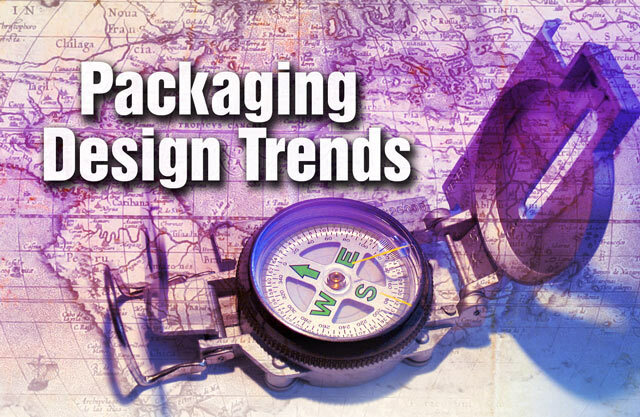 Feel free to leave your favorite packaging trends in the comments!